Do you change your store hours to reflect the fall time change? Read more about Do you change your store hours to reflect the fall time change? Are you happy with the chosen stages for this year's Tour of California? Read more about Are you happy with the chosen stages for this year's Tour of California? Did you read any of BRAIN's Dealer Tour coverage last week? Read more about Did you read any of BRAIN's Dealer Tour coverage last week? What grade would you give Outdoor Demo East? Read more about What grade would you give Outdoor Demo East? What did you do to decompress last week after Interbike? Read more about What did you do to decompress last week after Interbike? How would you rate this year's Interbike on a scale of 1 - 5 (highest)? Read more about How would you rate this year's Interbike on a scale of 1 - 5 (highest)? If you're not attending Interbike, will you be searching for Interbike related news on the web during the week? 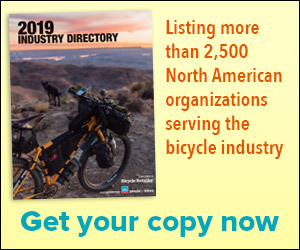 Read more about If you're not attending Interbike, will you be searching for Interbike related news on the web during the week? With about one week to go, do you feel prepared for Interbike? Read more about With about one week to go, do you feel prepared for Interbike? How would you rate this year's Eurobike (on a scale of 1-5 with 5 as the highest)? Read more about How would you rate this year's Eurobike (on a scale of 1-5 with 5 as the highest)?